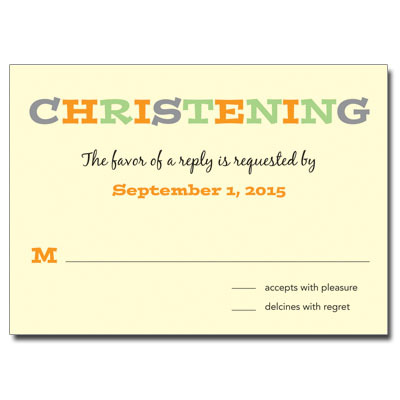 This is the perfect Christening response card for twins! Bright, youthful colors and fun type are a perfect match to the coordinating invitation. Card measures 5x3.5.